Welcome to Stuart's Leisure Acres Campground & Resort! Escape the hustle and bustle of the city! Enjoy complete relaxation, restful accommodations and recreation near Webster, Wisconsin. We offer a friendly and family-oriented atmosphere. 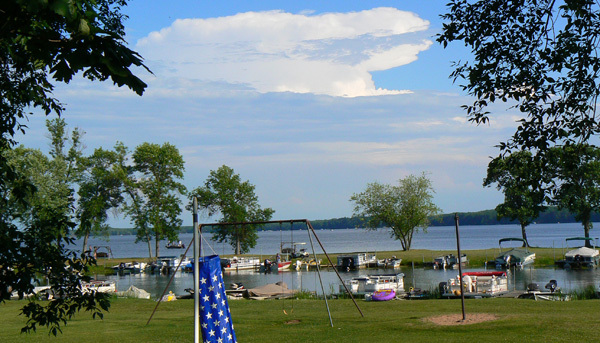 Daily and Seasonal RV camping, plus lake front cabins are open May 1 thru October 1. You can enjoy fishing Pan Fish, Walleye, Northern, Musky and Sturgeon on our 2,287-acre lake which joins Little Yellow Lake and Yellow River! If you’re not in the mood for fishing, you can jet ski, water ski, go tubing or just relax on the water. 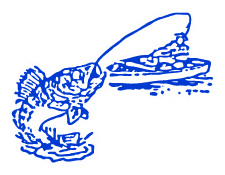 We have clean restrooms, shower house and fish cleaning house for your use. We also have a clubhouse used for family gatherings and potlucks. There is a private pond to dock your boat that will keep your boat safe when Big Yellow Lake gets a little rough. Our large open area along the lake is open for everyone to enjoy, including your pet! There are two play areas, one large area with basketball, horseshoes, swings, tetherball and volleyball. A smaller area, which has a rainbow system, is set up away from the lake for smaller children. We have all the play equipment for your use including croquet, bocce ball, badminton, basketball, soccer and much more!